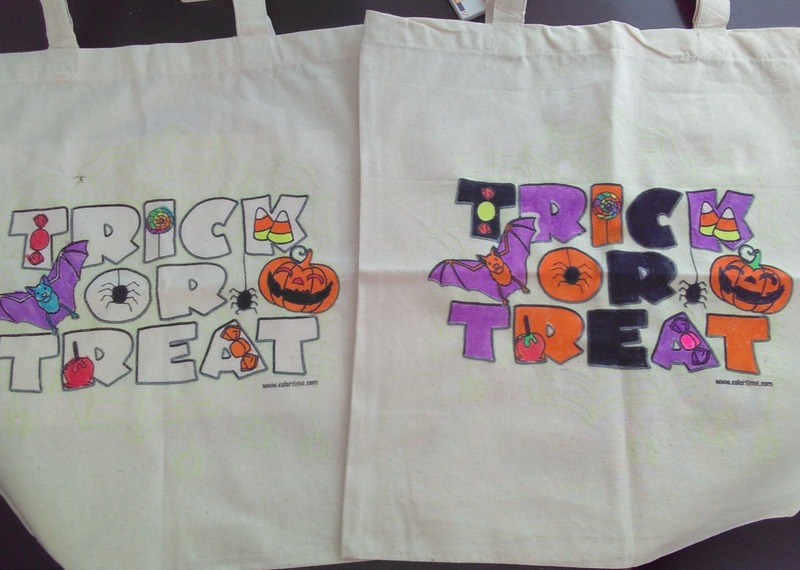 There is still plenty of time to treat your ghost or goblin to the fun Halloween tote from Colortime Crafts and Markers. Colortime Crafts and Markers offers loads of fun crafts to color, including new glow in the dark items, which make great momentos and keepsakes. My kids are always asking for Colortime Crafts! 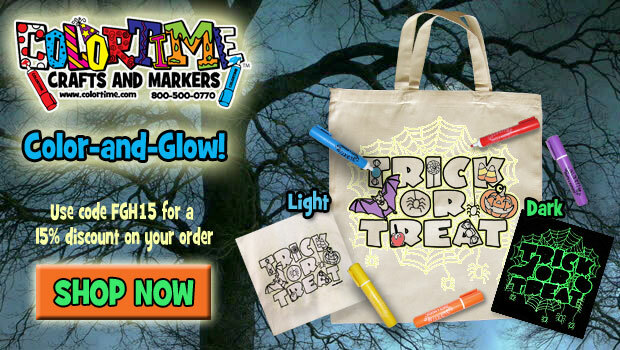 They recently colored their new Colortime Glow in the Dark Halloween Tote and they are ready to Trick or Treat. Don't miss out on Colortime's fun Glow in the Dark Halloween Totes ($5.95) for your little ghosts and goblins. The option to color is up to you. No coloring required. Check out the picture below for a closer look at the glow of the web that will light at night. Kids love it. Markers are sold separately and come in a nice variety of colors. Use coupon code: FGH15 for 15% off your order at colortime.com. 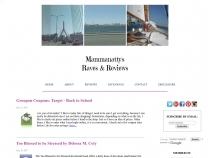 Items include pillowcases, t-shirts, backpacks, totes, permanent fabric markers, and more. For additional savings, join their "Birthday Club" and receive 20% off and a free backpack. Colortime.com offers reasonable prices for bulk purchases, too. Great for birthday parties, play dates, girl scouts, and sleepovers. Visit Colortime.com and check out all their great products.